Vidyarambham, also as Ezhuthiniruthu, is a Hindu tradition where children above two years old are formally entered into the world of alphabets and they take the first step to start learning. The term Vidyarambham is derived from two Malayalam words Vidya and Arambham. 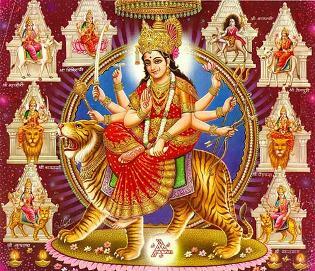 Vidya means knowledge and Arambham means beginning. Vidyarambham is dedicated to Goddess Saraswathi who is considered as Goddess of Learning.So Vidyarambham ceremony is held on Vijayadashami, the last day of Navarathri Festival. Vidyarambham ritual starts with prayers to Lord Ganapathi, the remover of obstacles, and then to Goddess Saraswathi Devi. Ezhuthiniruthu is performed by parents, grand parents, elders, writers, teachers and other renowned personalities associated with literature. They take the role of Guru to the children.The children sit on the lap of the guru and the guru writes ‘Hari Shree’ on the child’s tongue with a golden ring. Then, the child writes ‘Hari Shree Ganapathye Namaha’ in Malayalam with the right index finger, with the help of the Guru, on a bed of raw rice or on sand. Writing on grains or on rice represents the progressive learning ability of the child. Writing on sand indicates the hard work and efficiency of the child. Writing the mantra on tongue represents the blessings of Goddess of learning,Goddess Saraswati. By the mercy and the blessings of Goddess Saraswati Devi provide us the wealth and prosperity,hence the letters or the mantras are written on tongue with gold. During Ezhuthiniruthu,parents of the child would rub sandalwood paste,honey and Vayamp (sweet flag) for better health,good voice and sharper intelligence. In Kerala, Vidyarambham or Ezhuthiniruthu is a hindu traditional celebration, but in Kerala, it is performed by the people irrespective of their caste and religion. 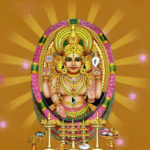 Vidyarambham is celebrated on October 19,Friday in the year 2018.